The British Foxhound has evolved through selective breeding over millennia and refined over the past 300 years to obediently fulfil the task, singly or within a pack, of finding the scent of a fox. Indicating by voice when the scent is/found, following the trail of scent until the fox is in sight and then, if leading the pack, killing the fox cleanly. They are bred and trained to only follow the scent of the fox. The fox will normally only come under pressure when the hounds come within sight. This short pursuit phase of the hunt will rarely last more than a minute and is often completed within 30 seconds. However, the foxhound may have to travel a hundred miles to complete a full day's work. The foxhound is four times the size and weight of the fox, which gives a considerable advantage in always providing the quick kill which in most cases is instantaneous. This culling method removes the problems of wounding. The weak, sick and injured foxes will be quickly dispatched and relieved of suffering where they are found. Refuges or earths will be located in order that terrier work can be conducted. Foxhounds therefore find foxes, usually a problem for those who rely only on guns. Success will depend on the skill of the huntsman, the number of visits, the number of hounds and the scenting conditions prevailing during the search phase of the hunt. Humane and effective fox control and management in Britain is dependent on the primary scent-finding role of what is considered by many to be the ultimate working dog. A healthy fox on its own territory will usually escape. A pregnant or nursing vixen gives off reduced scent, which provides valuable protection from scent-hounds at that crucial time. The effectiveness of hunting also depends on the different hunting methods used in response to conditions, and the predation impact on wildlife and domestic species. The primary moral objectives within culling by hunting methods are respect for the quarry, and when possible, to allow a sporting chance for the healthy and clever animal. 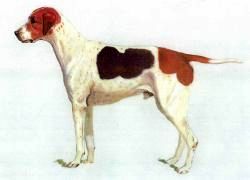 The foxhound is the only dog which can be reliably used to find and flush out foxes to shotguns in difficult terrain, yet also be relied upon to follow up and dispatch the inevitable wounded, by going to the sound of the shot. Successful gun packs rely primarily on experienced and well deployed foxhounds, often giving extra years of working life to older hounds too slow to keep up with mounted packs. Where hunts have the full cooperation of land custodians and rural communities, they can operate more efficiently, allowing the rapid dispatch of the weak, sick and injured, yet encouraging a healthy well dispersed fox population within their hunt country. In such areas the best packs of hounds, with special call out services, and the efficient use of terriers and specialists who flush and stop earths, control up to 90% of the foxes culled in their area. They therefore provide a free and comprehensive species management service. All fox hunts have the option to drive foxes to guns to supplement the means of bringing excessive fox populations under control. The role of the hunts is particularly appreciated in the unique upland areas of Britain, where rich wildlife habitat are maintained and lamb losses are reduced only by the comprehensive deployment of the combined roles of the foxhound, the terrier and the shotgun. Hunting rules implement a closed season so that there is a reduced impact from human disturbance during the long period when all wild species are producing young. Hunts with mounted followers not only negotiate the required open access to the countryside, but generate large sums of money and resources, which encourage habitat provision and management on a major scale, together with wide benefits to rural communities. Above all hunting methods encourage the selective management of key species and discourage the indiscriminate and unregulated methods of control which are divorced from good management, good welfare and sound rural economics. Hunt dead stock services are invaluable to Govt. Arguably, the precise cause of death is irrelevant. What is more critical is how quickly insensibility and death result and how much more suffering, physical and mental, the fox experiences. Here, again, there is lack of firm scientific evidence to help us. There seems little doubt, however, that !n the vast majority of cases the time to insensibility and death is no more than a few seconds, bearing in mind the great disparity between the size and weight of the fox and hounds - Para. 6.48 Conclusion of the Burns Inquiry. None of the legal methods of fox control is without difficulty from an animal welfare perspective. Both snaring and shooting can have serious adverse welfare implications - Para. 6.59 Conclusion of the Burns Inquiry. The farmers shotgun and his low powered rifle are rarely one shot killers - the benefit of a high powered rifle is that it will usually prevent the escape of a wounded fox - Colin Greenwood - Shooting Times -.16th March 2000. There is no way a serious welfarist can support the killing of foxes by the use of a shotgun - Richard Course - For more than 10 years head of the League Against Cruel Sports. Our wounding figures were only optimistic in as much as they represented a best case scenario - Professor Patrick Bateson in Animal Welfare 2001,10:343. Bateson Report for The National Trust - Red Deer - 4.5% walking wounded. A compromise of animal welfare was found only in the terminal stages of the hunt - Burns Inquiry spokesman - Lord Soulsby in the House of Lords - March 12th 2001. The welfare equation, which measures and compares suffering utilizing the latest scientific evidence, proves that hunting with dogs is more humane than shooting by a factor of at least 10. When all the species management suffering issues are considered, hunting with dogs is more humane than shooting by a factor of at least 100.